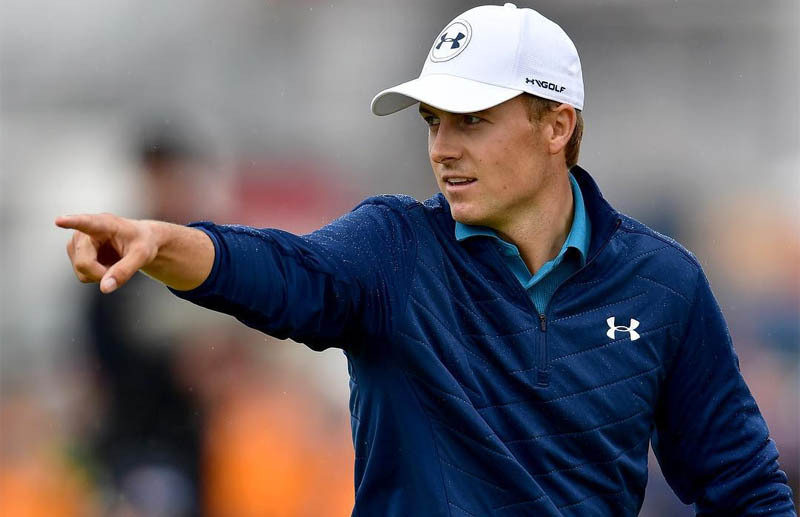 Jordan Spieth - Everything You Need To Know In Less Than 3 Mins! 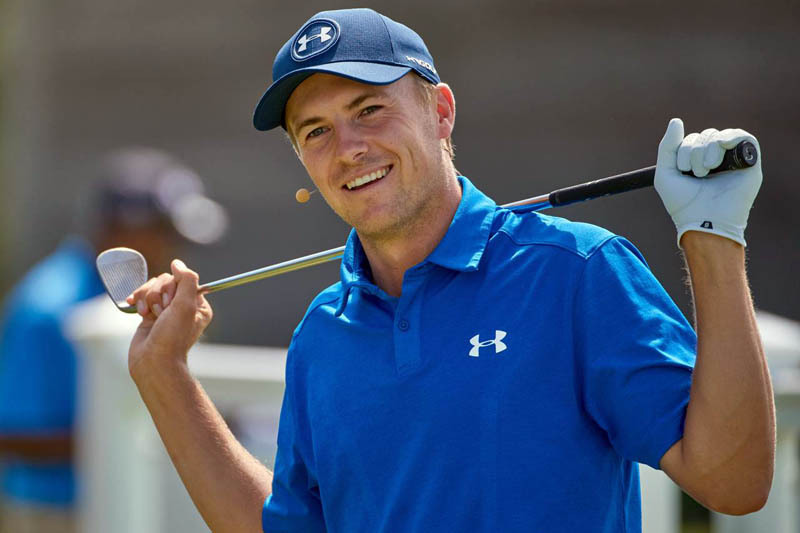 Jordan Spieth is an American professional golfer. A young and energetic young man barely thirty years of age. His love for golf has propelled him to great heights. Truly in this era and age, when it comes golf you can miss mentioning Jordan Spieth. And his name is heard among the greats; being a former world number one in World Golf rankings. Also, he was named among the top 100 most influential persons in 2016. Let’s look at the incredible bio of this prolific and world changing man. Jordan Spieth was born and raised in Dallas Texas, in the United States. He was a son to Shawn Spieth and Mary Christine. In addition, he was lucky to attend the famous St. Monica Catholic School at an early age. Later, he attended Jesuit College Preparatory School and graduated in 2011. However, he learned and played golf at the Brook Haven Country Club. And this set his path on course as a renowned golfer. 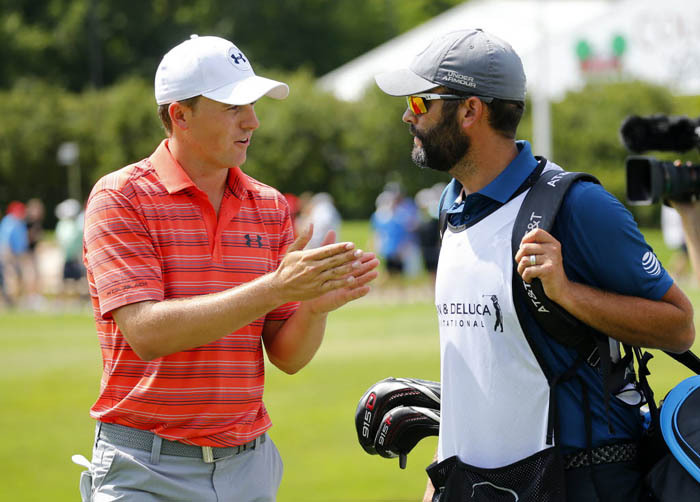 How old is Jordan Spieth? He was born on 27 July 1993, translating to 25 years of age as of date of this publication. He is a young man with a great vision. And despite all his accomplishments so far, there is still much to expect from this young man. He has been dating his longtime high school sweetheart, the gorgeous young looking Annie Verret. She was born in 1994 in Texas, United States. And she recently graduated with a business degree from the University of Texas. Furthermore, Annie is a diversified lady and currently works as an Event Coordinator at the First Tee of Greater Dallas. Other than that she carries on with lots of charitable organizations. 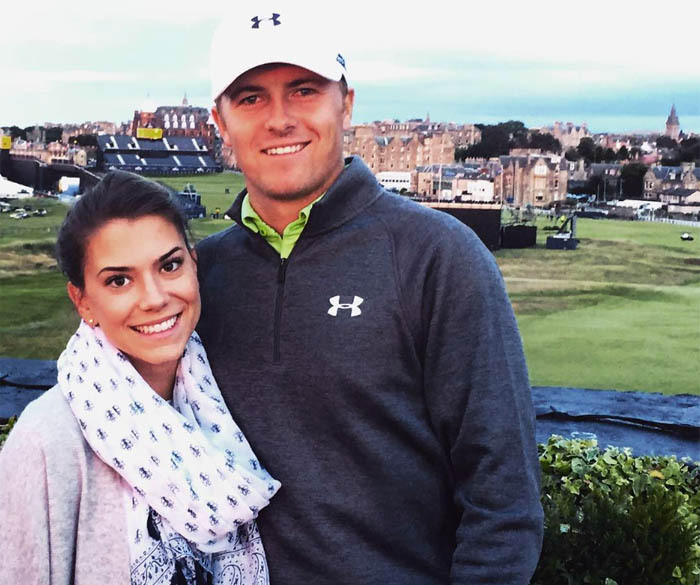 Notably, her love for Jordan Spieth cannot be underestimated. After a long relationship with Annie Verret for the past decade, Jordan asked the question. In short, their love for each other is profound and knows no bounds. This was evident on the 24 of November 2018 when Jordan Spieth and Annie decided to tie the knot. Currently, Jordan and Annie are a happily married couple. 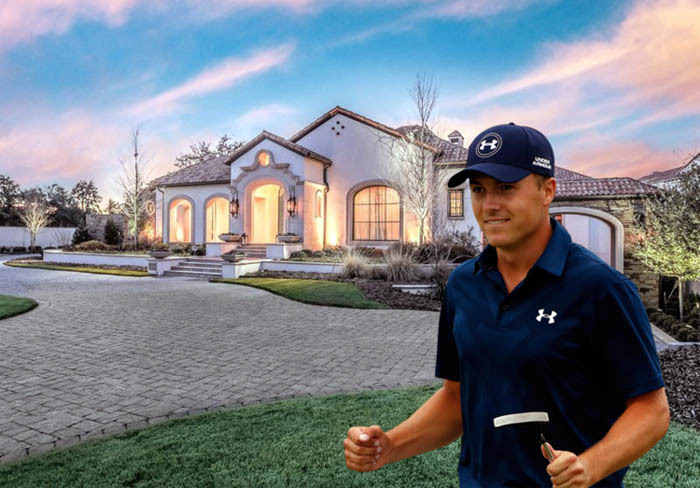 Jordan Spieth knows the importance of having a home. In fact, at the age of 21, he had already purchased his first home in Preston Hollow. Recently, he decided to buy his second home at a whopping $7.1 million. It is a magnificent building with a state of the art architecture. All in all, covering an area of 16,655 square feet, 8 bathrooms, and 5 bedrooms. A magnificent home deserving for the great golfer he is. True love cannot be hidden for it always finds a way to express itself. In fact, it was evident that Jordan Spieth was in love with his beautiful Annie. Consequently, in 2016 he proposed to Annie who had been his longtime girlfriend and they both got engaged. 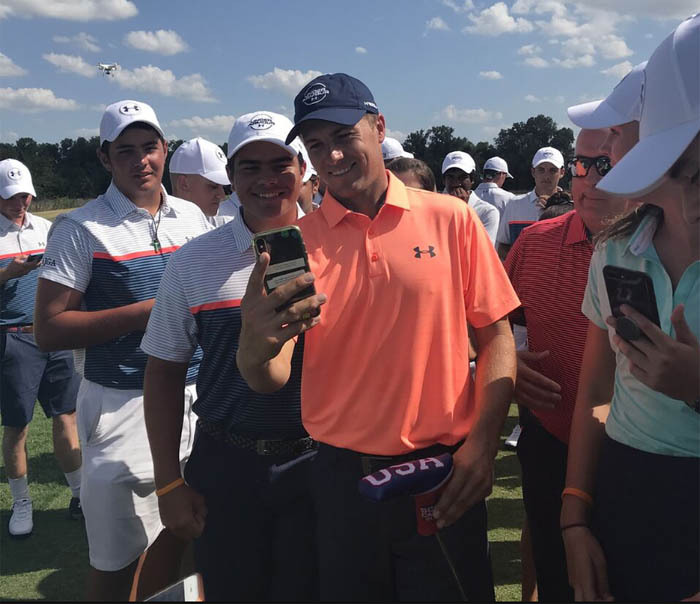 Jordan Spieth is one of the most famous golfers in the United States. Since his debut in 2012 he has won around fourteen professional championships. As a matter of fact, in September 2015 Spieth set a record of being the youngest player to lead a Masters after a first round. This was after he shot an amazing 64 shots in a Master tournament at Augustus in Georgia. What a marvelous player!! Furthermore, during the second time, he almost broke the record set by Tiger Woods back in 1996. This hard work and determination ensured that he emerged the top, winning the coveted award as the second youngest player in the history of Masters. Also, in 2015 he was named the PGA Player of the year. Certainly, a man of this caliber can’t avoid not to have an Instagram account. So yes, Jordan is on Instagram and we’ve provided his Instagram profile below. His followers are growing everyday, trickling in to view the success of a man who inspires many. 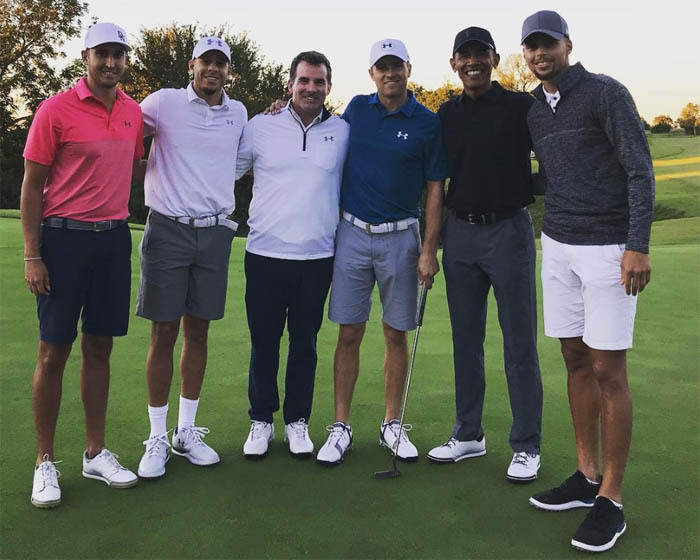 Moreover, at time of this publication Jordan Spieth Instagram account has grown up to 1.5 million followers. For those who haven’t followed him, you are really missing out on the super photos of hard-fought victories. By and large winning the Masters is not a walk in the park. Neither is it a charitable sport. Indeed golf is one of the most lucrative sports in the world, and in his first Masters, Jordan won a whopping $1.8 million. 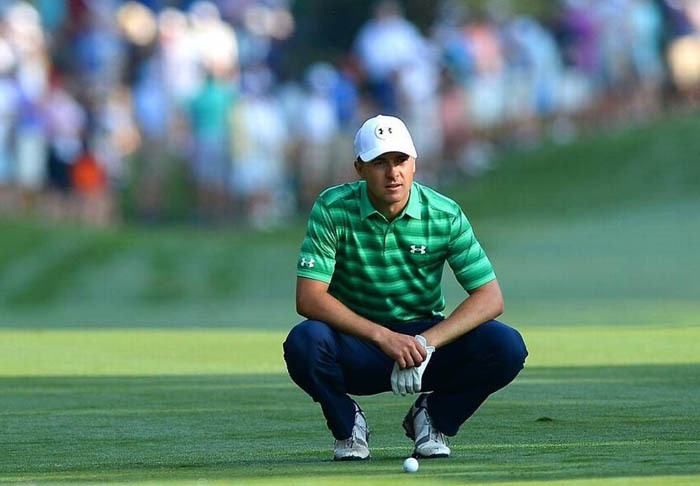 Furthermore, in 2015 Spieth won the Tour Championship at East Lake Golf Club, earning him $10 million in bonuses. Across all competitions, Spieth has earned accordingly. Therefore, it is by no chance that he is among the top wealthiest golf player of this generation. Also, his participation in the golf has earned him a net worth of approximately $30 million dollars. Jordan is certainly not vertically challenged. He stands tall 6 feet 1 inch (1.85 meters). In addition, his body is well shaped and he has really takes care of his body weighing only 175 lbs.